Landscaped project: SDB’s By The Sea in Batu Ferringhi will be the second beach front property for residential purposes along a stretch dominated by hotels. The project is being developed on a commercial title. SELANGOR Dredging Bhd (SDB) will be making its debut on Penang shores, literally, with a breezy project known as By The Sea. The foray into the island's famed Batu Ferringhi beach comes just several months after the launch of its fourth project in Singapore. The Kuala Lumpur-based developer has completed several projects in the Klang Valley. “I believe I could do something different with this piece of land in Penang,” says SDB managing director Teh Lip Kim. The move by the property developer is seen as a strategy to extend its branding into cities favoured by the expatriate community and Asia's well-heeled, says the Real Estate and Housing Developers' Association Malaysia (Rehda) Penang chief Datuk Jerry Chan. According to a survey by ECA International on 254 cities, George Town, the capital of Penang, is the eighth most liveable city in Asia, while Singapore is Asia's most liveable city. The project comprises 138 units of serviced suites spread over three blocks of between five and 11 storeys. There will also be a low-rise commercial block to provide basic amenities to the residents and the public. The site of the development is located between Bank Negara's holiday complex and a community mosque. The two hotels closest to it are the Hard Rock Hotel and Park Royal, both of which are just less than five minutes' walk away in opposite directions. Teh's confidence in providing something different stems from the fact there will be two major focal points in the development that sits on 4.7 acres. The first focal point of the RM230mil development is the beach which it will share with some of the island's most popular five-star and boutique hotels Shangri-La's Rasa Sayang Spa and Resort, Golden Sands Resort, Hard Rock Hotel and the newly-refurbished Lone Pine. Her second focal point is Sungai Satu, or One River, which flows through the land. The development will use the river as a border to separate the suites from the amenities block. The river, which flows past a cluster of squatters, will be cleaned and rehabilitated by the time it flows into By The Sea. “The rubbish will be cleared and the water clarity improved considerably by the time it flows past the project and enters the sea,” she says. 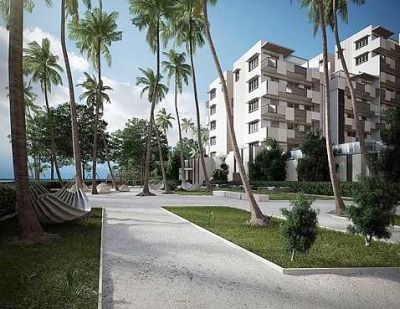 The river banks will be landscaped to add to the serenity and ambience of By The Sea. Because beaches are public areas, the project will be set 60 m inland in order to create a park and a recreation area for residents. “There will be value in the open space,” Teh says. Priced at an average of RM1,200 per sq ft, By The Sea will be setting new benchmark in a predominantly tourist-centred area dotted by hotels. It is expected to be completed in the first quarter of 2016. At that price and in today's uncertain economic climate, Teh says she is targeting the Penang diaspora who would like to return to the island. The company is known for setting new benchmarks. In Puchong, the gated and guarded development AmanSari has set new standards in what was then a fairly ordinary township, while Ameera and Five Stones adds a new dimension to high-rise living in SS2, Petaling Jaya, an established township with predominantly landed terraces. Teh's main forte is landscaped housing, and this normally comes with a premium. She will use the same formula in the Penang property. While SDB's lifestyle concept developments may be new to the local Penang population, buyers in the Klang Valley and Singapore are familiar to its style and concept. In Singapore, the company recently launched Hijauan on Cavenagh in District 9, one of the city state's most prestigious areas and just minutes away from Orchard Road. The six-storey residential block sits on a half-acre plot and will have a total of 41 apartments with units ranging between 463 sq ft and 1,884 sq ft. The units are priced between S$1.3mil and S$3.5mil each. It will be built on the former Cavenagh Mansion land. Hijauan is expected to be completed in the third quarter of 2015. Cavenagh Road was named in honour of Maj-Gen William Orfeur Cavenagh, the last India-appointed governor of the Straits Settlements who governed from 1859 to 1867. Hijauan will have a combination of garden units, penthouse and typical units but all will enjoy the greenery in a coveted green lung within walking distance from Orchard Road and a tree-lined passageway besides the Istana and adjacent to 25,000 sq ft of lush state land. The Istana is the official residence and working office for both the President and Prime Minister of Singapore and is also the place where they receive and entertain state guests. A link bridge will connect Hijauan to Orchard's Centrepoint shopping mall. Twelve of the 41 units have been sold. Besides Hijauan, SDB's other project in the city state includes Jia, OKIO and Gilstead Two. The company recently bought two acres in Singapore's Pasir Panjang near the National University of Singapore. With today's concerns about eurozone, Teh says Singapore, like Britain, is seen as a safe haven for property investment, particularly if they are located in London's zone 1 and zone 2. “Similarly, I see the same in Singapore. For me, (whether it is Singapore, Klang Valley or Penang), I want to do something different,” says Teh. Next year, Teh says SDB will launch a development in Cheras that will set tongues a wagging. For now, her focus will be By The Sea and Singapore's Hijauan. What is it about the sea that attracts both developers and homebuyers? Along the Penang coastal road from Gurney Drive to Batu Ferringhi, condominiums, apartments and landed housing compete for buyers and tenants. Landed units and villas sit snugly on hill slopes fronting narrow roads on one side while multi-storey high-rise projects front the sea or the beach with names like Skyhomes By the Beach, The Cove, Moonlight Bay and Springtide Residences. Most of the multi-storey beach and seafront high-rise developments are located in the Gurney and Tanjung Bungah area. Valuers and property consultants contacted via the telephone say all of them have been sold. While some of these developments have been built more than 10 years ago, there are also some new ones like Springtide and Skyhomes By the Beach. Old or new, many of them are hardly-occupied. They serve as holiday or weekend homes for well-to-do Malaysians. Many of them belong to foreigners who use them to escape from the cold winter in their countries. What differentiates these developments from Selangor Dredging Bhd's By The Sea is concept and size. Many of Penang's super condominiums have built-ups ranging from 2,000 sq ft to 10,000 sq ft. These were built years ago when there was a cap on density, but not size. As a result, developers went overboard, with some units having two kitchens and two entrances, valuers say. The idea then was to enable buyers to sub-divide these units themselves. Besides the scarcity of luxurious 1,200sq ft to 1,500sq ft units, lifestyle homes were a trend introduced by E&O's Seri Tanjung Pinang several years ago. With an average price of RM1,200 per sq ft, valuers and consultants say the price may be prohibitive for local Penangites. Prices of By The Sea range from RM1.2mil to RM3.3mil. SDB's By The Sea will the second beachfront suites in Batu Ferringhi, which is 5km away from Tanjung Bungah. The first beachfront residential in Batu Ferringhi is Mahligai Baiduri, which has less than 50 units, says Henry Butcher Penang Shawn Ong. “Those who want to live closer to town and all the amenities it has to offer will opt for Tanjung Bungah as Ferringhi comes across more as a holiday home where most of the hotels are located. “Although the zoning is the same when it comes to resort properties, they are both commercial titles, Ferringhi will command a better value than Tanjung Bungah,” says Ong. Besides SDB's By The Sea, the other Kuala Lumpur-based developers which have made inroads on the island includes the YTL group. It will be building a niche development next to the famed E&O Hotel in the city. IJM group will have a mixed integrated project on reclaimed land near the bridge that connects the island to the peninsula. While both of these projects front the sea, they will not have a beach. They will instead be known as sea-front properties. IJM's most recent launch The Light Collection 3 averages RM850 per sq ft while Seri Tanjung Quayside is priced between RM880 and RM1,100 per sq ft. Both of these are on reclaimed land. Langkawi: Langkawi's economic fortunes as a tourist destination may be enhanced if Sarawak businessman Tan Sri Ting Pek Khiing has his way. He is proposing a reclamation of some 80 hectares of land for the region's biggest marina centre, along with residential and commercial properties. 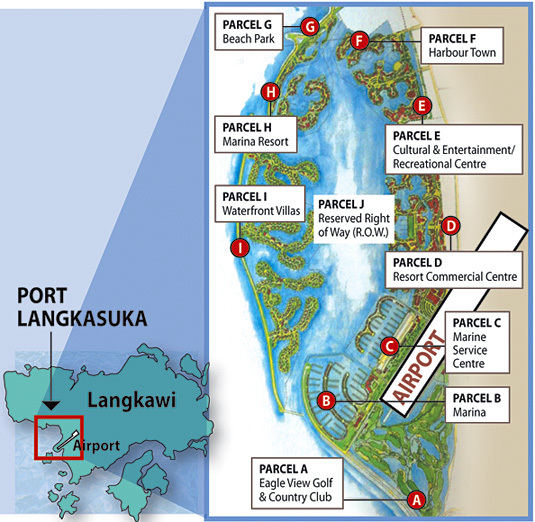 The proposed multi-billion ringgit "Port Langkasuka" project will comprise nine parcels of land containing among others, a golf course, resort and private villas. "A RM200 million breakwater was built in the mid-1990s as a basis for this proposed development. "I am hopeful that we can obtain the necessary approvals from the state government to proceed," he told reporters after former prime minister Tun Dr Mahathir Mohamad opened the Four Points by Sheraton Langkawi Resort here yesterday. The resort, which was previously known as the Langkasuka Beach Resort, underwent a RM30 million refurbishment prior to the rebranding. The resort is owned by Global Upline Sdn Bhd - which also owns the Four Points by Sheraton property in Kuching, Sarawak. Ting, who is Global Upline's group adviser, was instrumental in building Langkawi's first five-star resort Sheraton Langkawi Beach Resort 20 years ago and also the Delima Resort Langkawi. Dr Mahathir, who during his tenure as prime minister worked closely with Ting, is raising the island's profile as a preferred tourism destination, said that the duty-free island still has a lot of potential to be developed. "There is still a lot of potential for resorts, as we have not used the mountains (to build resorts). Since the weather is cool up there, why not build a mountain resort? "Perhaps mountain bike racing can be introduced," he noted, and said the five-year 'hiatus' which was taken after his tenure by the authorities in promoting Langkawi, can be addressed by allocating budgets to market the island better. "Build another port, since there is demand for it and we have many good locations where the port can be built," Dr Mahathir added. Contrary to perception that Klang Valley's multi-billion My Rapid Transit (MRT) would have a big property angle to make the project viable, this is not likely to be the case. 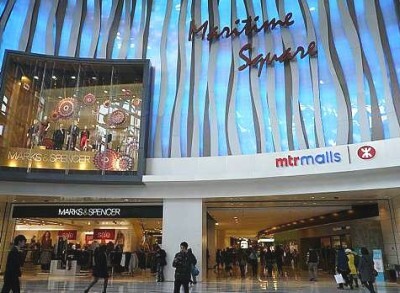 MTR Corp, which is listed on the Hong Kong stock exchange with a market capitalisation of HK$145.48bil (RM58.5bil), is one of the largest property managers in the special administrative region. In addition to its railway operations, MTR Corp is involved in the development of residential and commercial projects, property leasing and management, advertising, telecommunication services and international consultancy services. Properties affected: Land owners in Jalan Bukit Bintang will be among those affected by tunneling works for the 9.5km underground section of the MRT Sungai Buloh-Kajang line. Still, this does not mean that there will be no property development to help sustain the viability of the MRT. Azhar says that in Sungai Buloh, where the MRT station will be an interchange station to Sungai Buloh KTM Komuter, there is an opportunity there to work with KTM Bhd on a commercial development. To date, MRT Co has not made an assessment of the potential for property development along the 51km MRT Sungai Buloh-Kajang line. Under Azhar's helm, one priority is to reduce MRT project costs via minimising compulsory land acquisition as far as possible. Besides a huge reduction in what might have amounted to between RM2bil and RM3bil in land acqusition costs, according to some estimates, this would also avoid creating resentment from affected property owners. According to the Land Public Transport Commission (SPAD), 70% of the 51km MRT Sungai Buloh-Kajang alignment runs on road reserves and Government land while the rest is on private land. In Azhar's opinion, holding discussions with affected property owners and tenants can be beneficial to all concerned parties. At the moment, Azhar is busy resolving disputes with property owners in Jalan Sultan (Chinatown), Jalan Inai and Jalan Bukit Bintang who would be affected by tunneling works for the 9.5km underground section of the MRT Sungai Buloh-Kajang line. On Thursday, MRT Co said 16 out of 23 lot owners in Jalan Sultan (Chinatown), as well as 20 out of 21 lot owners in Jalan Inai, have signed the memorandum pledging to pursue a mutual agreement. Lawyers representing the parties are due to meet next week to work out the conditions for mutual agreements. He points out that the Government would compensate the affected parties for loss of business as well as legal fees. Work on the MRT line in Jalan Sultan is expected to be in the second quarter of 2014, and tenants of the affected shop lots would need to move out for a period of up to six months for safety reasons. Azhar says among the items to be proposed to affected property owners is a mention on the property title that a tunnel exists below the building. Regarding Jalan Inai, Azhar is quite optimistic of a positive outcome as a property developer that is buying some lots in the area has agreed to allow tunneling works, subject to a mutual agreement being signed. According to Azhar, the property developer has essentially agreed that some buildings on their lots would be demolished. Regarding Jalan Bukit Bintang, Azhar says the area is “tight” and buildings would need to be demolished during the tunneling works. About 21 lots in the area, believed to include two fast-food restaurants namely McDonald's and KFC, would be affected. 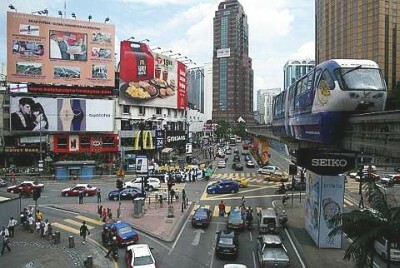 Azhar says MRT Co has offered two options to affected property owners in Jalan Bukit Bintang. One option is for a joint venture with the owners of the demolished lots to re-develop the area to obtain enchanced values, while the other is to rebuild the structures as per their original condition. “We kept engaging the owners and recently, many of them have indicated that they are agreeable in principle to our proposals. They will not lose their properties. Also, we do need some land for technical requirements such as air ventilation shafts so maybe one lot owner in Jalan Bukit Bintang might be willing to sell. We will work out these details with the property owners,” he says. At this juncture, it is still uncertain whether affected property owners in Jalan Bukit Bintang will opt for a joint re-development project with MRT Co or ask for the structures to be rebuilt. Azhar is prepared for more disputes concerning properties affected by the MRT line in the near future. Meanwhile, areas and developments such as Sentul, Pusat Bandar Damansara and SP Setia Bhd's KL Eco City should see the strongest property upside potential, according to a HwangDBS Vickers Research report. HwangDBS Vickers notes that property developers would be rushing to acquire landbank with the MRT factor, given the long conversion cycle (five to six years from land acquisition to construction completion) and rising land values. A banked-backed property analyst notes that existing residential and commercial units located near an MRT transfer station would benefit from an upside in capital and rental values. She also points out that new and future property developments would play the MRT factor in their launching prices, and such properties would be priced at a premium. PETALING JAYA: Malaysia Pacific Corp Bhd (MPCorp) hopes to start civil construction works for its flagship project in Iskandar Malaysia by the first quarter next year, starting with the infrastructure surrounding its Asia Pacific Trade and Expo City (APTEC). Speaking on the sidelines of the World Chinese Economic Forum, chairman Datuk Bill Ch’ng the company would collaborate with the Government to integrate and build the infrastructure and amenities like roads, rails and highways that would connect to the city. He said the investment for APTEC, one of Iskandar Malaysia’s flagship projects, was about RM2.9bil from the total investment of RM4.5bil in the Lakehill Resort City. “We are still in the midst of discussion with different investors and it will be partly funded by AmanahRaya,” he said. APTEC and the LakeHill Resort City are developed by LakeHill Resort Development Sdn Bhd, a joint-venture between MPCorp and AmanahRaya Development Bhd. Ch’ng said the development of APTEC, which was envisioned to be a major trading hub in the region for manufacturers and buyers alike, would not be undertaken on a piecemeal basis. SEPANG: TH Properties Sdn Bhd plans to help parent Lembaga Tabung Haji develop its landbank nationwide. The move should help bolster TH Properties' own property development and construction arm, its chairman Datuk Azizan Abd Rahman said in an interview with Business Times. The fledgling property and construction unit is currently involved in Tabung Haji's integrated Haj Pilgrims Complex development at the Kuala Lumpur International Airport, but it needs more jobs to expand its order book. The complex, which is expected to be completed by 2014, will comprise Haj facilities, a hotel and convention centre. Tabung Haji is also building similar facilities in Terengganu and Kedah. The complex will help generate income for Tabung Haji through the hospitality and tourism sector. 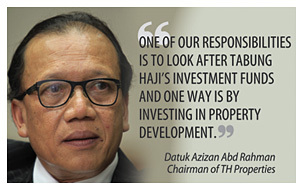 "One of our responsibilities is to look after Tabung Haji's investment funds and one way is by investing in property development," said Azizan. The core activities of Tabung Haji is to manage funds generated by deposits from Muslims in Malaysia and invest the accumulated funds to earn income for the depositors. TH Properties currently has two projects in the Klang Valley, including Bandar Enstek at Sepang and a residential project in Keramat. Bandar Enstek, which started in 1999, is expected to generate a gross development value of RM9.2 billion upon completion in 2025. For the project in Keramat, TH Properties is awaiting approvals from the relevant authorities to build luxury villas and condominiums worth a combined RM700 million. "We hope to launch the project by the middle of next year," Azizan said. For construction, TH Properties has a contract worth RM400 million to develop a complex in Putrajaya for the Department of Islamic Development Malaysia. "We have started piling work and are looking for more projects to build our order book," Azizan said.